Typical marine grade paints quickly peel off in ice leading to corrosion of the hull plate and increased resistance. Special hull coatings exist that provide improved corrosive properties and reduced resistance in ice. Aker Arctic utilizes our in-house testing methods to measure the kinetic friction between hull coatings and ice, providing proof of the benefits of using your specific coating. Hull coatings used on ice-going vessels are designed to withstand the constant abrasion associated with operating in ice. As frictional resistance plays an important role in the resistance of the ship in ice, manufactures must ensure their coatings are able to withstand abrasion whilst delivering consistently low friction. The right choice of hull coating can provide the shipowner with fuel saving and increased speed in ice. Aker Arctic’s testing methodology helps establish non-biased comparisons between hull coating options, ensuring the end user obtains the highest quality coating. Aker Arctic’s test methodologies are based on ITTC Recommended Procedures and Guidelines using specialized apparatus developed in-house specifically to measure the wet contact friction between ice and a hull surface. 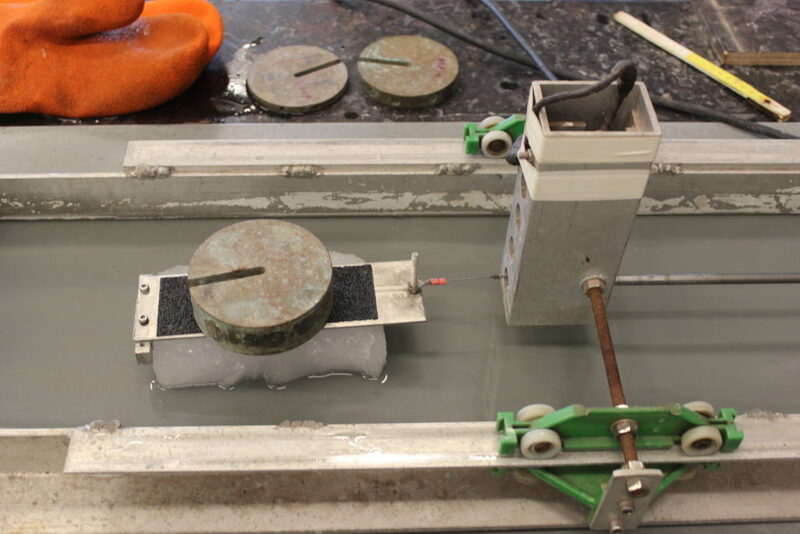 The apparatus allows the contact pressure to be varied as an ice block is pulled across a test specimen at constant speed. Quality control is performed by taking several measurements and using different ice types to ensure accurate results across different conditions. The test results provide accurate comparisons between coatings, which correlate with real savings in full scale. Aker Arctic has a long history of performing friction tests. Our test procedures are well established, and we have gathered a large database of frictional properties of different coatings. Our experience enables extensive comparison of the products, which increases the overall reliability.